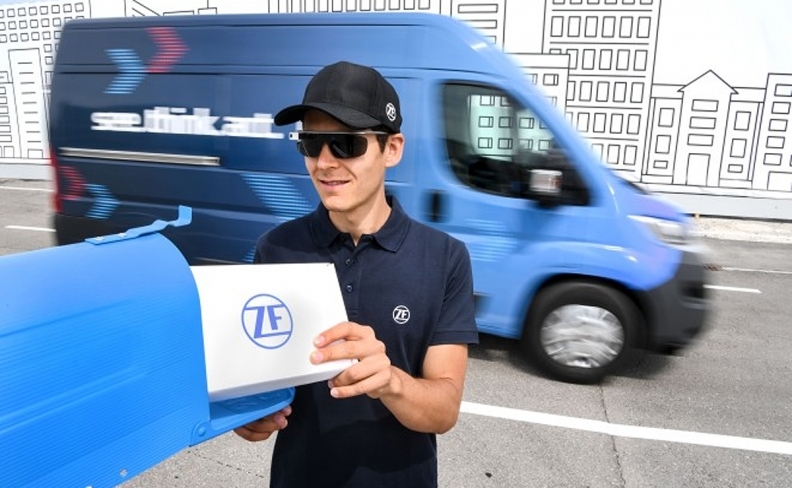 ZF plans to test the concept vehicle in its hometown of Friedrichshafen, Germany, in a move that will see it go head-to-head with the VW Crafter and Ford Transit vans. German supplier ZF Friedrichshafen said it is developing its own self-driving vehicle technology in the latest sign of how technology shifts are upending traditional roles in the auto industry. ZF plans to invest 12 billion euros ($14 billion) over the next five years on electric and autonomous vehicle technology. The spending of about 2.4 billion euros annually outpaces the 2.2 billion euros ZF spent in overall research and development last year. The project includes developing a battery-powered delivery van that can drive on its own, the company said Wednesday. ZF ranks among the world’s biggest car-parts manufacturers after the $12.9 billion takeover of TRW Automotive Holdings three years ago. The privately held company plans to test the vehicle in its hometown of Friedrichshafen in a move that will see it go head-to-head with the Volkswagen Crafter and Ford Transit vans. The car industry’s shift to electric and self-driving vehicles is opening the field to new competitors. Aside from Tesla, Chinese startups such as NIO are proliferating, and Germany’s postal service already makes its own bare-bones electric delivery vans. Autonomous vehicles are likely to first take off in commercial applications due to the challenge of finding drivers and the hopes for efficiency gains amid booming online shopping. ZF’s van will be highly automated and able to navigate city centers on its own, recognizing traffic lights, maintaining its lane even on streets without markings and moving around double-parked cars, the company said at the commercial vehicle fair in Hanover, Germany. The vehicle will also feature a “follow me” function allowing a parcel carrier to deliver packages on foot. It will also be able to be sent ahead to the next stop in case there is no parking in the immediate area.